Tecno is at it again, after recently launching their first marshmallow device, tecno has just announced a new powerful device device which comes packed with a powerful 5050mah battery capacity. This is a pretty affordable device with a mid range Specification. It is powered by a Mediatek Quad-core processor which runs at a clock speed of 1.3ghz. It has a total of 1gb RAM and a 16gn internal storage which can be expanded through the SD card slot. 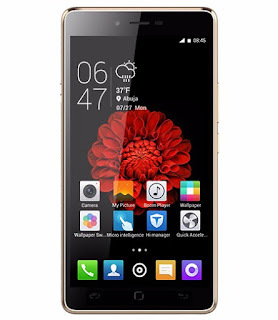 The tecno L8 also features a 5.5-inch IPS Capacitive display with 720 x 1280 pixels and a resolution of 267 PPI. It features an 8MP rear camera and a front facing camera of 2mp. It also has a dual micro sim slot.